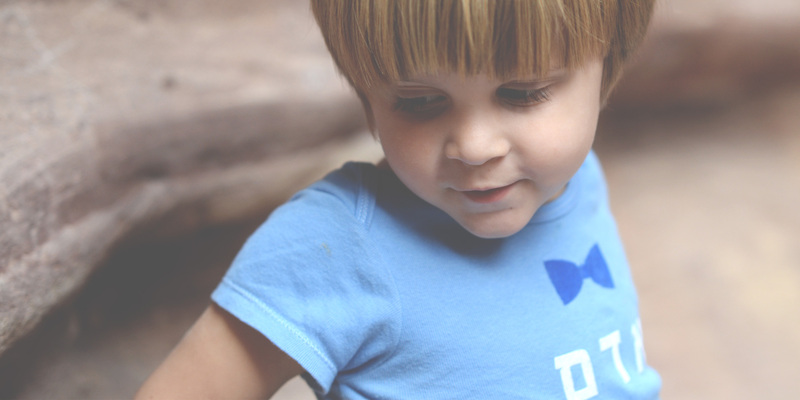 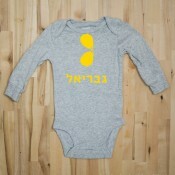 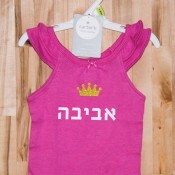 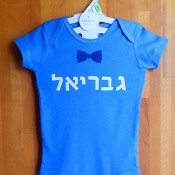 Our personalized onesies with HEBREW name for boys or girls are an adorable way for a newborn to say- here I am world! 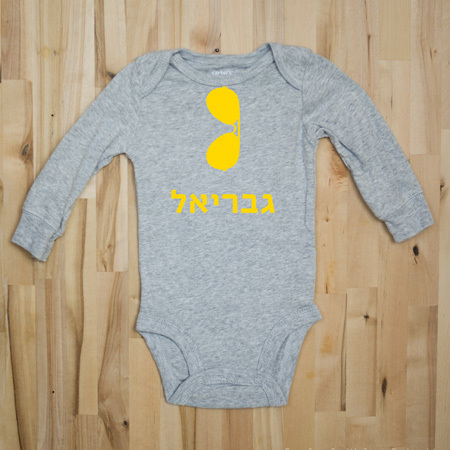 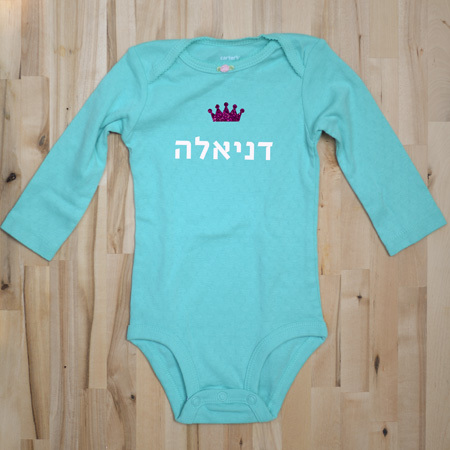 Designed and printed vinyl on Carter’s cotton onesies, this soft snuggly gift with Hebrew lettering is sure to be a unique and talked-about gift at any Jewish baby naming, Brit Mila, or baby shower. Aunts have ordered them for their nieces and nephews, Saftas and Nanas for their grandchildren, and even co-workers asked us to attach a personal note and sent this Jewish gift directly from Israel to their friend who is in maternity leave. 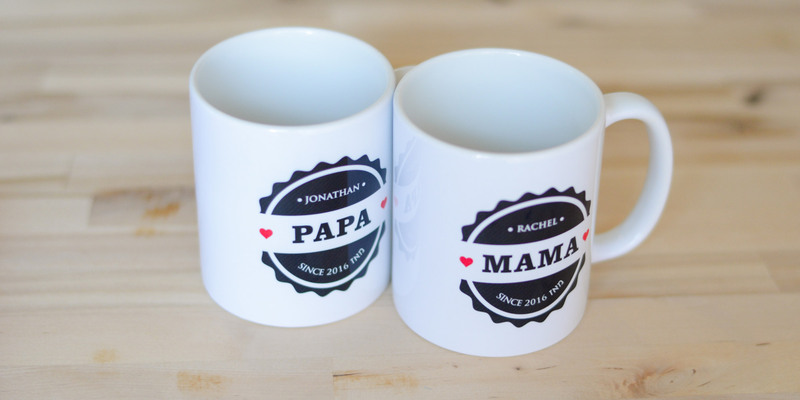 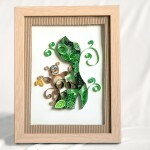 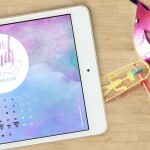 Most Special Mother’s & Father’s day gift!